Laura Pirie, AIA, who for over 28 years has designed and implemented thoughtful and integrated built environments, is the principal of Pirie Associates Architects. Her work across the country includes extensive, award-winning experience with museum, performing art, institutional, commercial/retail, and residential structures, as well as community visioning and urban design. Laura’s work is driven by her passion to empower people to live a full and meaningful life, which she does through Pirie Associates and Conscious Pioneer, an organization she founded and leads. Her belief that the built environment has the ability to support aspirations and enhance quality of life can be discovered in the remains of ancient civilizations. With Conscious Pioneer, Laura leads groups to explore a purpose-driven life by experiencing ancient civilizations’ intentionality, connection to nature, and the places they made. Her deep understanding of these practices is reflected in the process and projects of Pirie Associates. Always drawing, designing, building, and painting, Laura’s earliest subjects were light, shadow, and places connected to nature; from the northern California coast where she grew-up to the cast-in-place concrete museums she toddled through with her aunts. As a young adult, friends and strangers alike would ask Laura to listen to and reflect on their personal stories. During her architecture studies, Laura developed complex narratives - descriptions as to “why” a design exists as it does. These formative experiences were her early training to be a deep listener, observer, and translator. Then, as now, she has the ability to break-down complex subjects into understandable pieces. These skills come through in her ability to listen to and see beyond the words clients use to get to the “why” of their endeavor; and then to translate this into a design solution that embodies their aspirations. Laura left architecture to raise three young children and explore her interest in ancient traditions before returning to practice almost 6 years later. Equipped with tools to explore outside of the established architectural realm, she set out to invent a new process that would merge purpose, craft, connection to place, and design. Laura founded Pirie Associates in 2002. Prior to Pirie Associates, Laura was a Senior Associate at Cesar Pelli & Associates (now Pelli Clarke Pelli Architects). She is on the faculty of Yale University School of Architecture where she teaches at the graduate level. 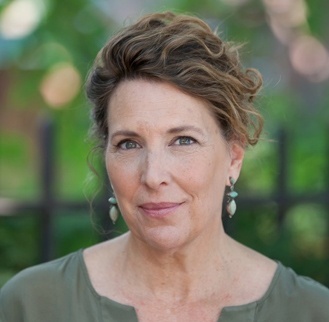 She was the co-editor of Perspecta 28, the Yale Architectural Journal, is the author of the book Stepping-Up, and wrote two monthly columns, “InVisioningOut” and “Green Living,” in Aspire Magazine. She earned her Bachelor of Design with high honors from the University of Florida and her Master of Architecture degree from Yale University, where she received the Henry B. Adams Gold Medal and was recognized for her outstanding leadership within the School of Architecture.